Two new songs from legendary singer-songwriter Bob Dylan will be featured in the second season of CINEMAX’s Emmy®-nominated action drama series STRIKE BACK, which begins Aug. 17. Both previously unreleased songs appear on Dylan’s upcoming album “Tempest,” to be released Sept. 11, marking his 50th anniversary as a recording artist and his 35th studio release. 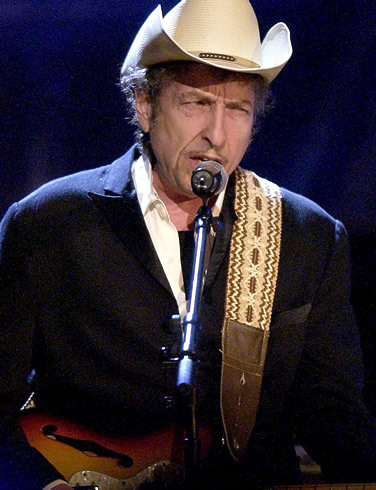 “It’s an honor for CINEMAX to showcase Bob Dylan’s exciting new music in his 50th anniversary year,” says Kary Antholis, president, CINEMAX Programming and HBO Miniseries. “Early Roman Kings” will make its world premiere in a music video promo featuring scenes from the new season, and airs on CINEMAX and HBO starting today. It will also be available at cinemax.com. “Scarlet Town” will make its world premiere over the end credits following the back-to-back debuts of the first two episodes on FRIDAY, AUG. 17 (10:00-11:30 p.m. ET/PT). In addition, the song will play after the subsequent separate plays of both episodes, which will also be available from Max On Demand and Max GO. Bob Dylan recently received the Presidential Medal of Freedom, the country’s highest civilian honor. His other honors include a special Pulitzer Prize, 11 Grammy Awards, a Golden Globe Award and an Oscar®.Starring Philip Winchester (“Crusoe”) and Sullivan Stapleton (“Animal Kingdom”), STRIKE BACK follows a stealth counterterrorism unit as it spans the globe to stop potential threats. Season two features guest stars Rhona Mitra (“Underworld: Rise of the Lycans”) and Charles Dance (HBO’s “Game of Thrones”); the supporting cast includes Rhashan Stone (“Episodes”) and Michelle Lukes (“Alexander”). This entry was posted on Thursday, August 2nd, 2012 at 10:19 am	and is filed under Music, News, Television. You can follow any responses to this entry through the RSS 2.0 feed. You can skip to the end and leave a response. Pinging is currently not allowed. « ‘The League’ Season 3 Blu-ray Announced and Detailed!! !